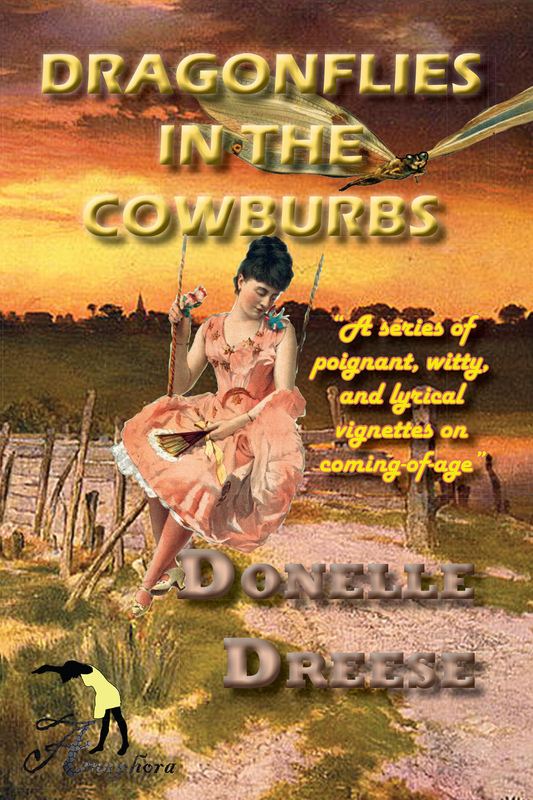 Dragonflies in the Cowburbs ($15, 6X9″, 104pp, September 2013, ISBN: 978-1-937536-51-0, Hardcover ISBN: 978-1-68114-146-6, LCCN: 2013917417, Click to Purchase on Amazon): Francesca Butler (“Fresca”) is a 17-year-old girl who lives in what she calls the “cowburbs.” Not quite the country and not quite the suburbs, the cowburbs offer Fresca adventure and room to grow, but also confusion and loneliness. The story is told from the point of view of a smart and sometimes sarcastic teenage girl who struggles to find happiness after the tragic death of her father, the mysterious disappearance of her friend Laurel Dee, and her boyfriend’s battle with Internet Addiction Disorder. Fresca loses a friend who dies from inhaling fumes from an aerosol can, and develops a close bond with her best friend, Veronica, who eases her through a case of “textitis” from too much texting. Veronica becomes an inspiring role model for Fresca when she shaves off all of her hair to protest the importance placed on physical attractiveness in their high school. Fresca also depicts a close relationship with her mother, whose “seventh sense” allows her to understand Fresca in intimate ways, but this relationship is challenged when her mother acquires a new boyfriend who doesn’t seem to like Fresca, or teenagers in general. With the help of her mom, her friends, and a sense of humor, Fresca discovers that love and happiness are not only possible, but waiting for her amidst a flock of dragonflies. Donelle Dreese is the author of two poetry chapbooks: A Wild Turn and Looking for a Sunday Afternoon. Her poetry and fiction has appeared in publications such as Quiddity International, Hospital Drive, Roanoke Review, Connotations, Souvenir, Appalachian Heritage, Runes, Gulf Stream Magazine, Journal of Microliterature, Gadfly Online, and Conclave. She was selected as a semi-finalist for the 2013 Louise Bogan Award for Artistic Merit and Excellence by Trio House Press. Donelle is also the author of America’s Natural Places: East and Northeast, a travelogue. She is an Associate Professor of English at Northern Kentucky University, where she teaches literature, creative writing and composition.